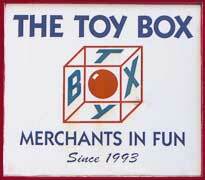 The Toy Box will be one of hundreds of retailers across the country celebrating Neighborhood Toy Store Day on November 10, 2018. Spearheaded by ASTRA, the annual observance asks shoppers to remember the neighborhood toy stores in their communities as they kick off the holiday shopping season. In addition, shopping locally supports the community by creating jobs and preserving neighborhoods. Compared to chain stores, independent local businesses put a significantly larger share of revenue back into the local economy in the form of taxes, salaries and more. Specialty toy store owners are the real experts when it comes to choosing toys for kids – These store owners spend time with kids day in and day out. They understand the value of play, and what types of toys will truly engage children.